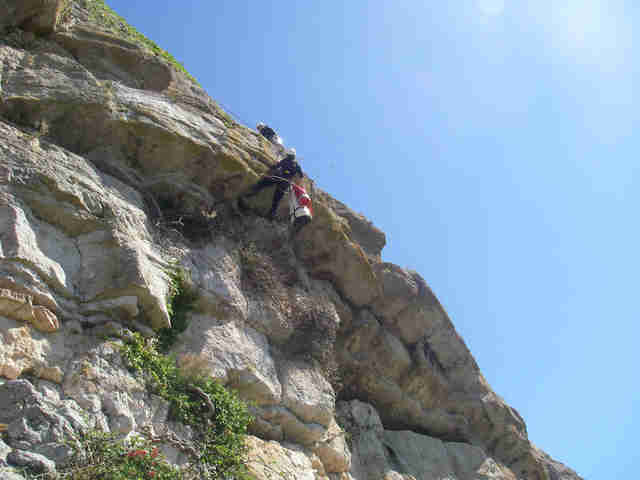 Rescuers had to scale down the side of a mountain to reach him. When some people noticed a young goat standing on a ledge, unable to move, they contacted the RSPCA to see if it could help. Not wanting to disrupt the goat unless he was truly stuck, the RSPCA closely monitored him for a bit — and after he’d been stuck there for quite a while, it became clear that he was going to need some help getting down. “The goat spent over a week on the ledge, and by the time he had eaten all available food, it became obvious that an RSPCA rope team would be required,” Mike Pugh, an inspector with the RSPCA, said in a press release. The ledge the poor goat was trapped on was very narrow, making it nearly impossible for rescuers to walk out onto it, and so after consulting with a local ranger, rescuers determined that the best way to get to the goat would be from above. 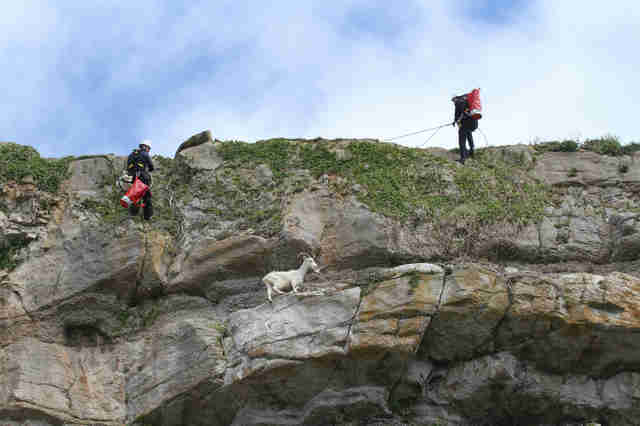 Six RSPCA officers went out to help rescue the stuck goat. 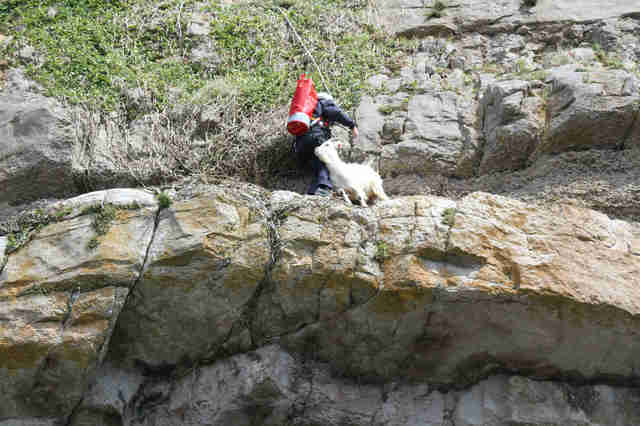 Starting at a point nearly 100 feet above him, a few of the officers scaled down the side of the mountain until they were close enough to secure the nervous goat. They had to move slowly and carefully, as the last thing they wanted was for the goat to get spooked and end up injuring himself. 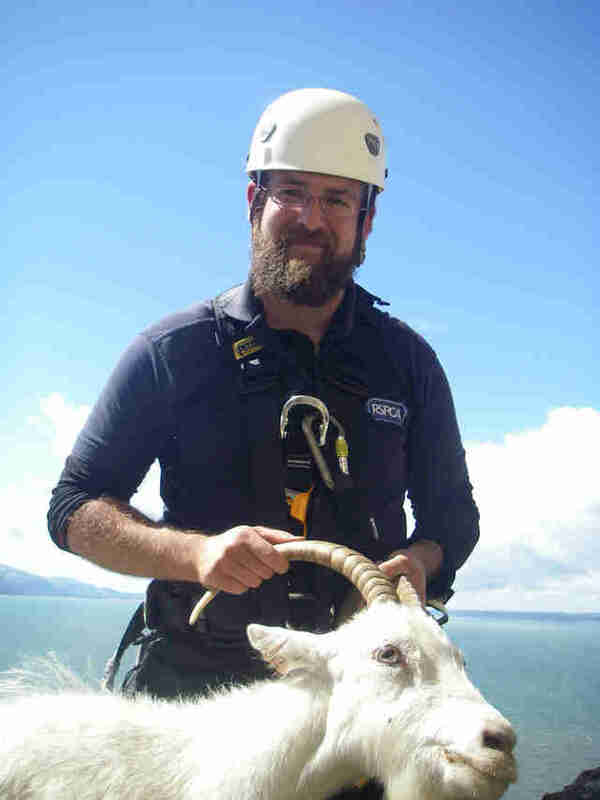 “This was a complex rescue, as it was imperative to ensure the goat was calm enough so he didn’t panic, and dangerously jump off the towering ledge,” Pugh said. 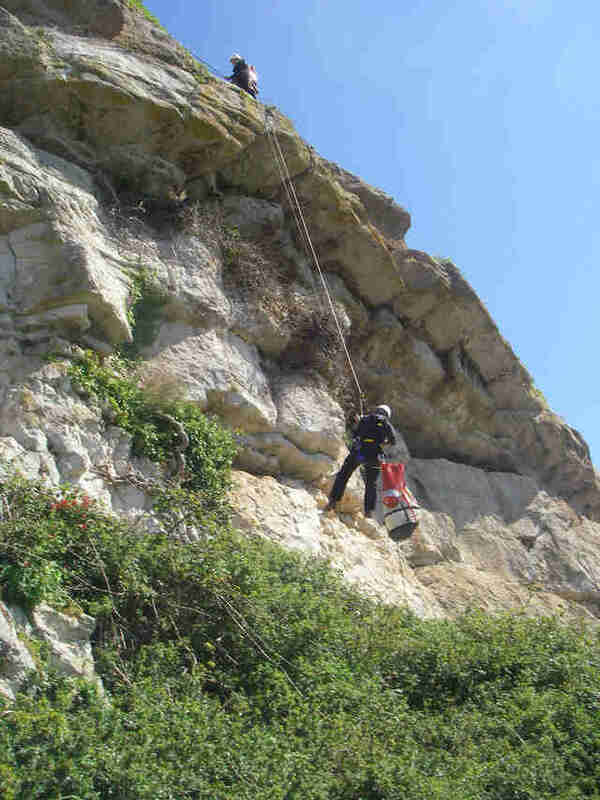 The officers were able to secure the goat in a bag before beginning the journey back up the side of the mountain, traveling an additional 65 feet before finally releasing the goat onto safe ground.